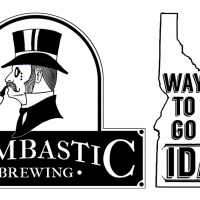 2018 has been an interesting year for Bombastic Brewing. 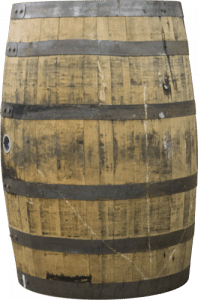 From the beginning, when Phil and Matt and Russell first started dreaming about starting Bombastic Brewing, barrel aged beers have been top on the list of wants. In the early days, while we were simply churning out recipes in a home-brew capacity, testing what works and what doesn’t, blind tasting beers from all over the world, and every state, including rare barrel aged releases, and comparing them to what we were making, Matt found a knack for creating excellent base beers that would taste amazing to begin with, and take a barrel with ease. 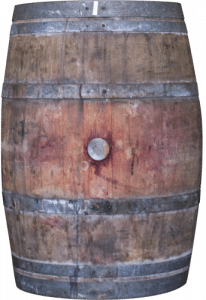 When we started selling to the public in June of 2017, the first release of Attempted Murder was one of those beers, designed to taste amazing fresh, but also be a good candidate for barrel aging. When Chris Cochran asked us to make a special beer for the Think Big Festival, and we asked what kind of beer he likes, we were delighted to hear him say “Barleywine” because we had an incredible barleywine recipe that was designed to be incredible up front, and really shine in the barrel. Before we had even begun licensing, Matt had been working on the Adambier recipe, what eventually became Business, and he had barrel aged a small amount. That turned out incredible. This release has been a long time coming. 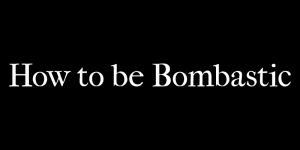 Last year, when we asked our ardent supporters to go out on a limb with us and pre-pay for a Bombastic Benefactors membership, we were thrilled to see you answered the call. You enabled us to make these very expensive batches of beer, and buy very expensive barrels to age them in. You made it possible by being willing to wait for the outcome. Well, the outcome has arrived. It’s here. Benefactors have already received an email detailing their beers, and have been invited to a Benefactors exclusive Release Party & Bottle Share. Membership is closed, so if you missed out, sorry, there is no more availability. We did manage to make a few additional beers that are not Benefactors exclusive beers. Benefactors will have the first opportunity to both taste and purchase these bottles as well, but whatever remains after the Release Party will become available to non-members. 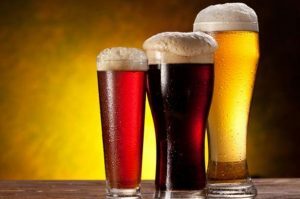 We invite you to read about the beers we’ve created below, both the Benefactors only beers, and the General Public beers. We believe this is a pretty special release, especially in our area. We’d love to hear from you and what you think about this release. With much thanks to Brent Foster for his incredible artwork, we present our Barrel Aged series artwork. You can click each one to open in a light box. This is a special barrel aged version of our 14% adambier, Business. For this special batch we bumped the abv by 2% and aged it in a port/bourbon barrel for 8 months. When we pulled it out of the barrel it was damn good, but we decided to amp it up a bit for it to be one of our flagship member beers. For 2 months before bottling, it has been aging on Malbec grapes and we added wine yeast to dry out the grape sweetness. This is a special barrel aged version of our Stubbornness barleywine, originally designed for the Think Big Festival in Coeur d’Alene. Stubbornness was our first bottle release to the public. 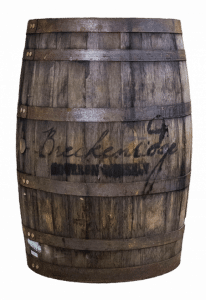 With only minor alterations to the recipe, the beer was brewed and aged in a bourbon barrel for 8 months. This beer spent the last 2 months on Chardonnay grapes with wine yeast. This version of barrel aged Stubbornness was aged on whole CdA Coffee Co. La Laguna coffee. 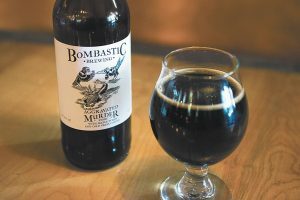 This is a special barrel aged version of the beer Aggravated Murder. Psychopomp kicks it up a notch by beginning life as a 13.5% stout brewed with maple syrup. We then added the beer along with a healthy dose of more maple syrup to a bourbon barrel for 8 months where the maple syrup was allowed to ferment getting us the last 1% ABV. Lastly, we added CdA Coffee Co. Yirgacheffe and Madagascar vanilla beans a few weeks before bottling. In this version of Psychopomp, we added way too much just the right amount of toasted coconut and a touch of cinnamon. 10.5% Port/Bourbon Barrel Aged Imperial Stout with cocoa nibs, cinnamon, vanilla, ancho chilies and cayenne pepper. This is a bourbon port barrel aged version of our flagship stout, Murder. Combined with these adjuncts, this came out exceptionally delicious. This is a bourbon port barrel aged version of our Malice stout, and in this one we turned the coconut levels up to 11. If any beer can be described as drinking a Mounds bar, this is it. This member only blend consists of 60% Alp, 20% BA Malice, 13% Wendingo, and 7% Psychopomp. The blend is all straight barrel aged beers without additional adjuncts. Along with member’s bottles we will be releasing 6 additional barrel aged beers to the General Public. Benefactors will have the first opportunity to snag these tasty treats. After the Benefactors Release Party, remaining inventory will become available to non-members. This blend consists of 60% Psychopomp, 20% Wendingo, 13% Alp, and 7% BA Malice.